The Lamborghini Jalpa strikes me as a car that has been somewhat forgotten amongst the poster cars that have delighted car enthusiasts around the world. Perhaps it has been hidden in the shadow of its legendary big brother, the Countach. 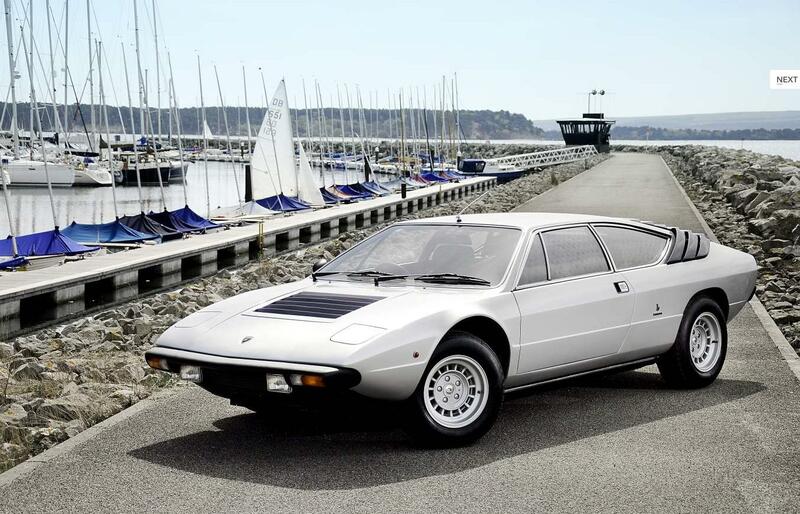 Maybe it was the fact that it was hardly a new car, being based off the Lamborghini Silhouette which in turn was based on the Lamborghini Urraco Silhouette - which was just a restyled and upgraded Urraco P300. 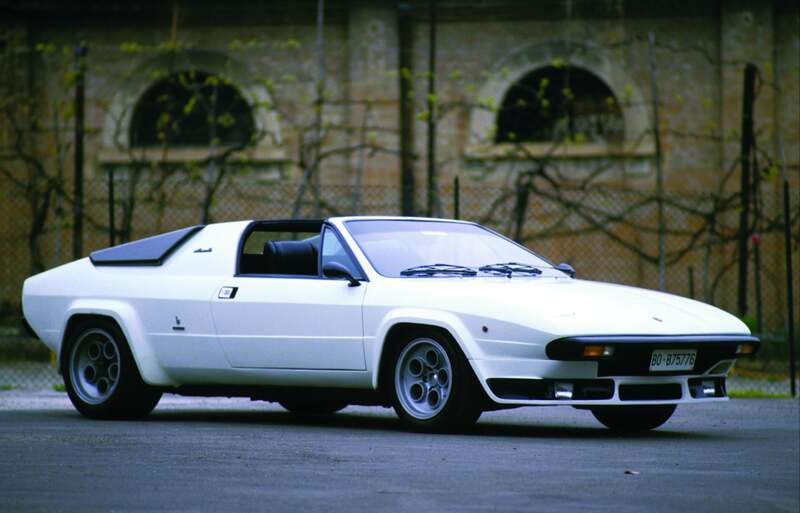 Conceivably, the idea that it was the "budget Lamborghini", coming in as a far less expensive option to the Countach, with a V8 good for just 225hp, compared to the acclaimed V12 of the Countach, might have meant it was a tad more forgettable. Whatever the reason, it has drifted out of memory for many auto aficionados, and it deserves a little moment of reflection. The ergonomics were pretty average, power was adequate but hardly thrilling, so what's the big deal? Somehow the design overshadowed its weaknesses, walking a fine line that Lamborghini often crossed, between a striking body and a radically haphazard collection of sharp angles and vents. The Jalpa had the drama, and the sharp lines (a radical departure from previous poster cars like the Muira with its swooping lines) but Bertone showed enough restraint to give it a hint of timelessness that has seen the Jalpa age remarkably well. Indeed, achieving this balance was not something you would associate with Lamborghini, who often sacrificed many aspects of the driving experience in order to achieve a shockingly desireable design. The Jalpa changed that; the dash and center console were much improved over its predecessors, the new 3.5-liter V8 provided a lovely exhaust note, and the build quality was as good as any car Lamborghini had made up till that point. So it didn't feel like the entry-level model, and it was totally driveable - here's the remarks of Bob Haroutunian, a former Jalpa owner. "I bought my '86 Jalpa used in 1986 with 1,000 km on the clock and drove it as my daily driver for twelve years, adding 65,000 km. Over this time it was a very predictable, very drivable car. I treated it as you would a regular car, and despite the horror stories you occasionally hear, none of them applied to my experience." So they nailed the design with a mix of madness and elegance, and built a car that could easily be driven and enjoyed by its owners, but perhaps the thing we can be thankful for the most as car fans was how it turned Lamborghini's finances around. You see, the manufacturer was on the brink of extinction in 1980. A dated product line - aside from the Countach - had seen sales slow to a halt, and funds were not available for the R&D involved for an all-new car to be launched. Instead, they chose to update the styling and dynamics of their existing model to create the Jalpa, and the 400 odd units they sold at $58,000 a piece gave them the bump in sales they needed to bolster their books out of potential bankruptcy to allow them to continue to grow into the company we know today. Although the number seems low, it was the brand's most successful V8 offering, and it came just at the right time to secure the storied Italian marque's future. Now for something a little blasphemous (turn away now Lamborghini purists) here's a little video of a bloke from my homeland who loved the styling but was left wanting more power to use down at his local drag strip, so he modified a few things. View the Kastner and Partners listing here.